The bench has considerably softened its stand as on August 20 it threatened heavy fine up to Rs 25 lakh on Wadhawan saying “the trend of targeting, maligning judges must stop” and "we want to send across a message"
The bench headed by Chief Justice Dipak Misra on Monday accepted the unconditional apology tendered by an office bearer of an NGO who cast “contemptuous aspersions” on the CJI in connection with a case. “Apology accepted,” the bench headed by CJI Misra said closing the case against Vimal Wadhawan, general secretary of NGO Bharatiya Matdata Sangathan, who was facing the contempt charges for filing written submissions in court questioning if CJI Misra could have been part of the bench which heard the PIL which demanded that MPs/MLAs should be barred from appearing in courts as advocates as it was in “violation of Bar Council of India rules” and a “conflict of interest”. 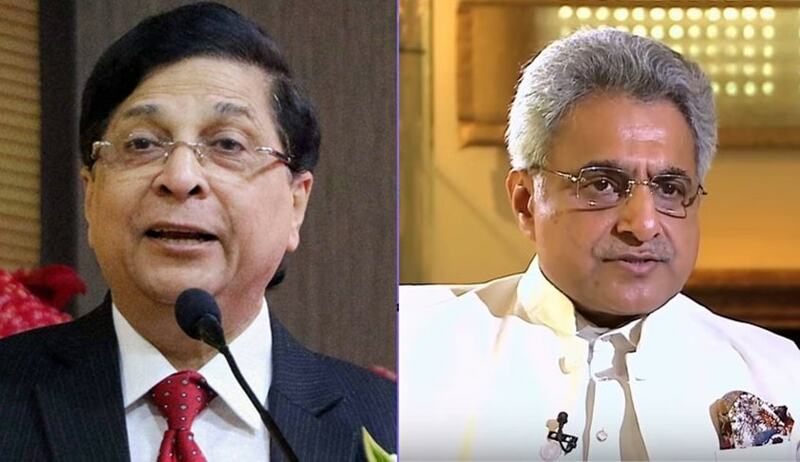 After 10 hearings spanning over eight months, the bench of CJI Misra and Justices AM Khanwilkar and DY Chandrachud had reserved its judgment on the ‘conflict of interest’ issue on July 9. But strangely after that, Wadhawan who was not even a party in the matter, through a written submission questioned if the CJI should have heard the matter at all or should have recused himself as BJD MP Pinaki Misra, who was his cousin too, was an MP who practiced law and was “an interested party in the matter”. “I wish to put some additional facts which is not only necessary to do complete justice in this fair matter but also essential to instill confidence among the public at large. Pinaki Misra is a cousin of Chief Justice of India. He is a Lok Sabha MP representing the BJD. Hence, he is definitely an affected and interested party in this matter,” he alleged. As an MP, Pinaki Misra has power of voting on the impeachment of judges of the Supreme Court and high courts. Therefore, allowing him to practice as an advocate in the Supreme Court and high courts is a very serious conflict of interest. It may allow judges to feel beholden to him and oblige him with favourable judgments/orders, it was implied. The tough stand had come after Attorney General KK Venugopal demanded strict action against Wadhawan saying it was clear attempt at getting the CJI to recuse (withdrawing) from the case and all the allegations were “scathing” and aimed at “scandalizing” the court. Wadhawan apologized with folded hands admitting his mistake but the CJI said he could not be let off lightly as such allegations “ultimately affected the institution”. “At times wild assumptions lead to catastrophe,” he added. Justice DY Chandrachud had said a heavy fine needed to be imposed to send across a message. "We have to ensure we protect the dignity of this court there is a trend nowadays...of targetting judges…this must stop, anybody who does it must realize the consequences...we want to send across a strong message,” the bench had said.